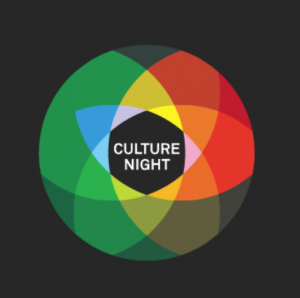 We had a great night for Culture Night last night. Loads of visitors. The first of them arrived on the dot at 5PM, and we still had visitors in the space at 11PM. We had lots of members on hand to give tours of the space and demonstrate some of our activities. Thanks to everyone who came. If you liked what you saw and would like to see more, keep in touch with us. We have regular open evenings and weekends for visitors, and almost everything is free to attend. For example, we have Electronics, Coding, Crafting, Lock Picking and Wikipedia editing evenings, as well as our regular monthly Open Social and Sci-Fi book club. We have our own website and mailing list with details of all our events. We also have a number of social media channels. Keep in touch with us. Hope to see you again soon. Check out some photos from the night on our gallery. This was written by gary. Posted on Saturday, September 22, 2018, at 2:56 pm. Filed under Advocacy, Open evening. Bookmark the permalink. Follow comments here with the RSS feed. Post a comment or leave a trackback.